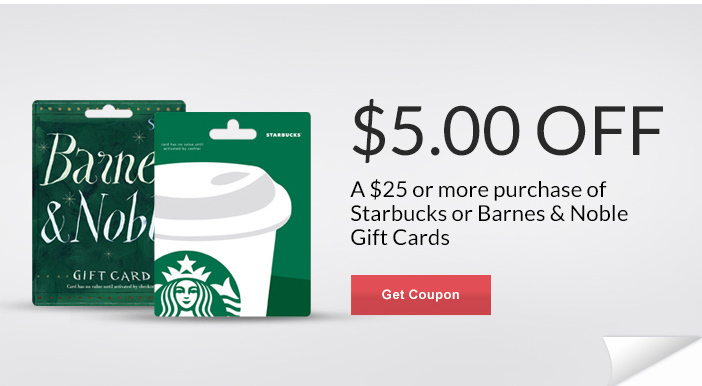 Become a Facebook Fan by “liking” Rite Aid and get a coupon for $5.00 off a $25.00 Starbucks or Barnes & Noble Gift Card purchase. Coupon Valid through November 23, 2014. Next post: FREE Kindle Fiction Downloads – Please feel free to share!